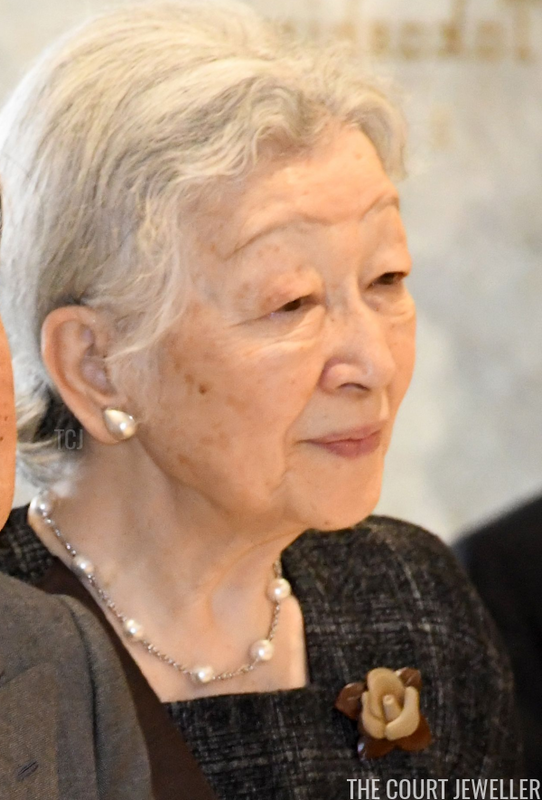 As Emperor Akihito and Empress Michiko of Japan celebrate both their diamond wedding anniversary and the thirtieth year of their reign, we've been seeing a lot of them lately. 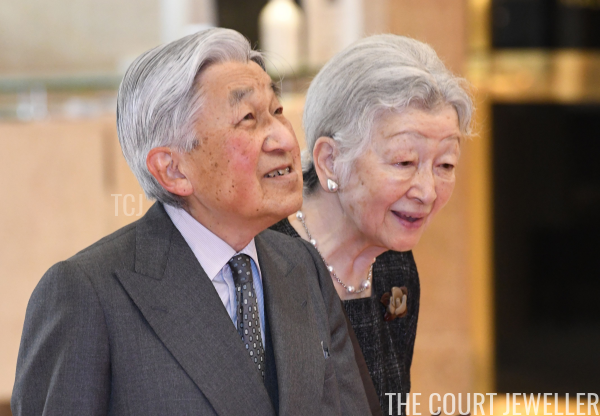 This weekend, the imperial couple make a pair of visits that celebrated each milestone. 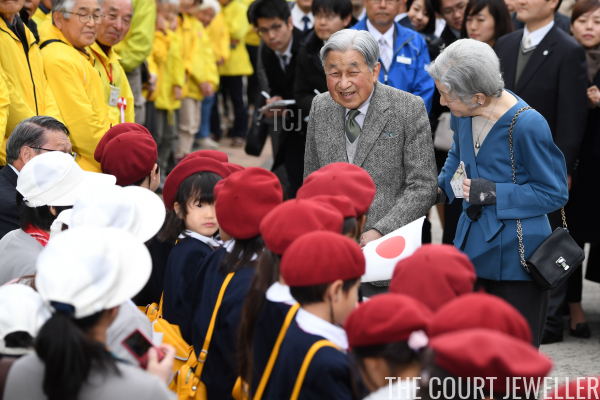 On Friday, the couple traveled to Yokohama in the suburbs of Tokyo to visit Kodomonokuni, which is perhaps best translated as "Children's Land." The park was founded in 1959 to celebrate the couple's wedding, and it opened to the public in 1965. It includes numerous amusements for children and families, including playgrounds, craft centers, sports facilities, gardens, and even a children's zoo, as well as a Royal Wedding Memorial Hall. 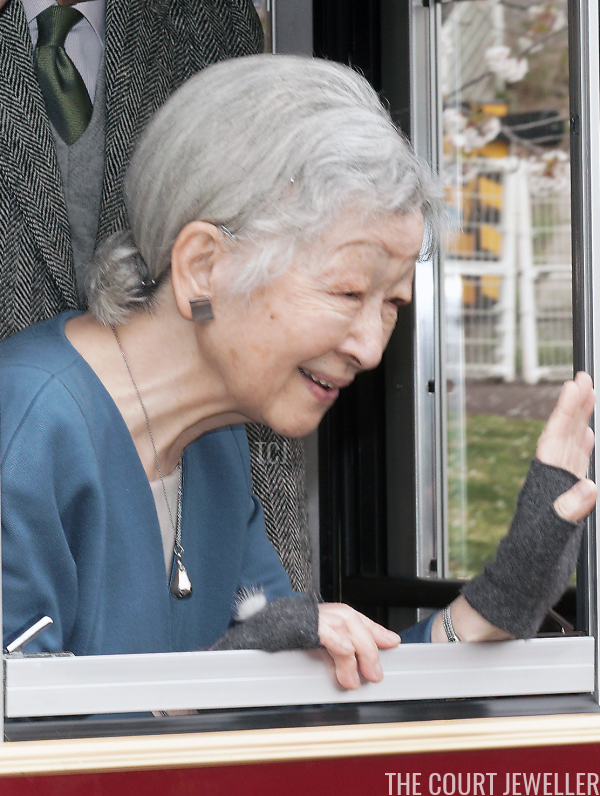 For her visit to the park, Michiko chose elegant silver jewelry, including modern earrings, a long pendant, and a bangle bracelet. 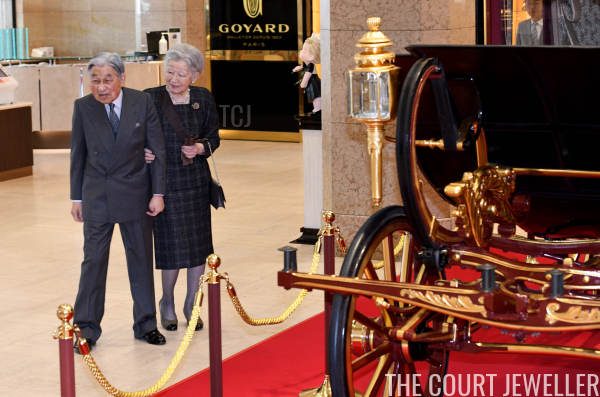 On Saturday, the couple headed to a department store in Tokyo to view their carriage. 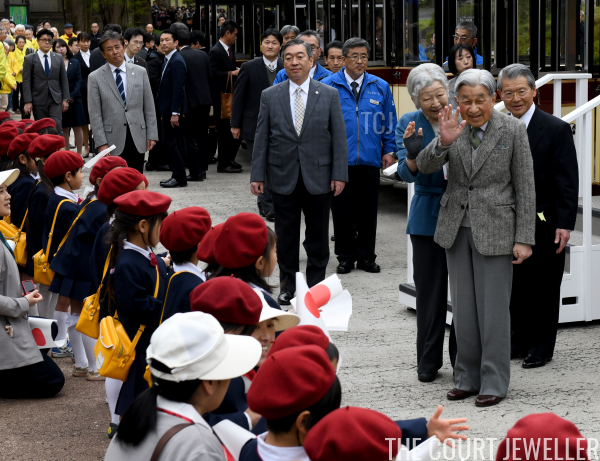 The elaborate carriage is on display to commemorate the thirtieth anniversary of Akihito's succession, which took place in January 1989. 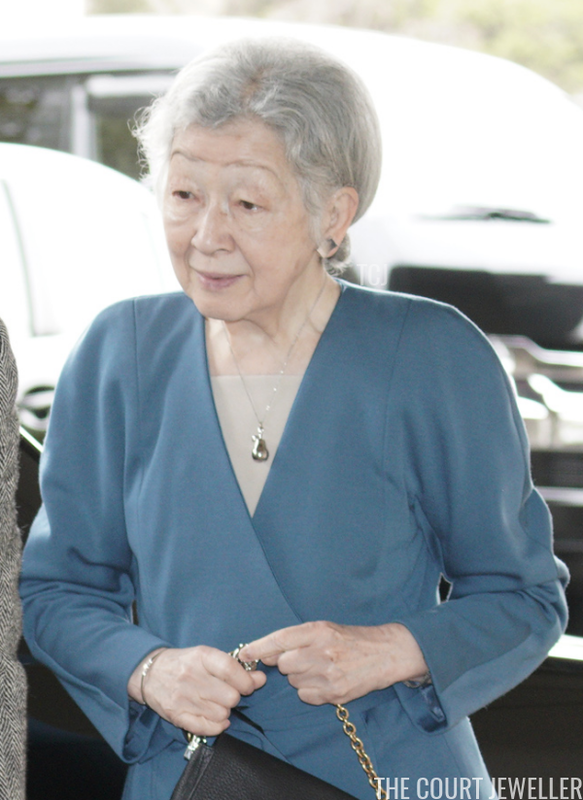 Michiko reached for pieces from her collection of pearl jewelry for the engagement. She paired pear-shaped pearl earrings with a lovely pearl station necklace. She also added a floral brooch to her ensemble.